May 7, 2008 at Fletcher's - arboretum; May 24, 2008 Queen Elizabeth Drive, near Landsdowne Park. 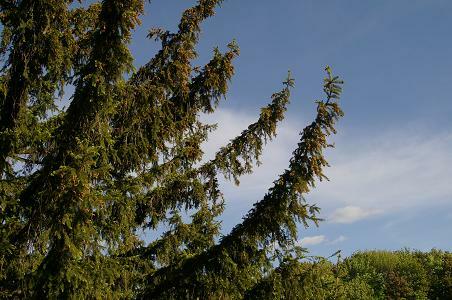 Norway spruce usually has vertical-hanging branches off the main branches. spruce. Rather, they have a bit of a notch. 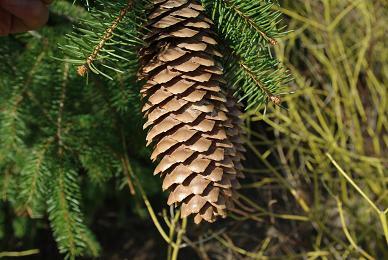 form a pinwheel whorl around the end bud, as does Colorado spruce. 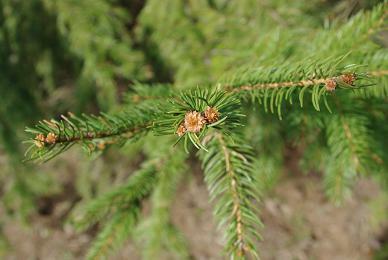 White spruce forms a normal whorl. on the underside. Colorado and white spruce do not have this feature. 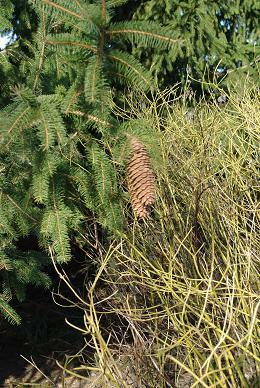 White spruce is very similar and common in the Glebe. 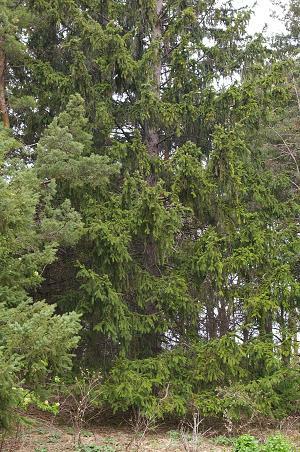 as well, but less so and not as often from upper branches. like the front of a viking ship. are similar but the lips of them are fringed, not entire.